Last month I presented at the Strategic Innovation Summit: Enabling Economies for the Future held at Harvard University. The summit proved to be extremely worthwhile as discussions with my fellow presenters and attendees left me with a new and deeper perspective on innovation and how we should nurture it. 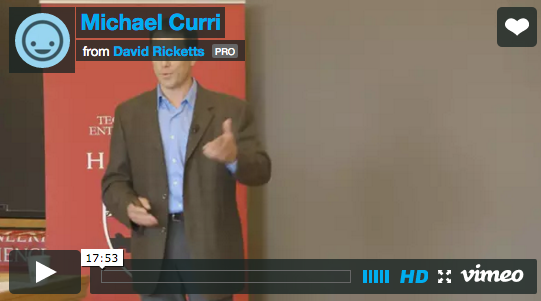 My main takeaway was this: innovation is a process. It requires scaling and ‘democratizing’ new technologies and new ways of doing business. To accomplish this community leaders need to continuously communicate and share a vision for effective use of technology with their citizens and businesses. The process of driving adoption and effective use of broadband in a community or region is the process of innovation. More and more communities recognize broadband as a platform for innovation. They realize how important broadband is for economic development, but they are taking a ‘build it and they will come’ approach. This has proven to be a difficult and ineffective not only as a model for sustainable networks, but more importantly in realizing the economic and social benefits from citizens and businesses effectively using broadband networks. SNG has witnessed firsthand the challenges of fostering innovation through our work with a dozen American states. A large problem rests with how broadband is presented and that ‘speed’ is assumed to be the magic ingredient that creates innovation. SNG has found that the process of engaging people in any community or region is actually the biggest challenge because the majority of people (approximately 80%) need to understand the benefits of technology and how it can help them before they adopt – they are technology pragmatists. Getting these pragmatists to change their behaviors will require more than promoting a feature like gigabit speed and waiting for growth to happen. These pragmatists need to understand the anticipated benefits and the actual return from their technology investments (in time and money). Communities need to develop and implement processes to move businesses to an understanding and comfort level where they are ready, able, and excited to take action. And what is “action?” Incorporating broadband and its accompanying Internet applications have the power to transform and grow businesses. Broadband can be your community’s platform for innovation, but availability is merely the first step. Your community must find a way to foster innovation through effective broadband utilization. This requires dedicated and ongoing communication of challenges, potential solutions, and vision about how broadband will transform their lives. This is innovation. Local resources must support and continuously communicate the benefits of broadband initiatives across stakeholder groups to foster innovation. To borrow from a fellow presenter at the summit, “technology does not cause change – it enables, facilitates, and accelerates changes we already aspire to.” Communities that communicate their vision and mobilize stakeholders will create opportunities and success. This includes keeping and growing existing businesses, as well as attracting new businesses. SNG has a program that helps numerous communities foster innovation among small businesses, where innovation lives in growing regions. Almost 90% of businesses in the US have less than 20 employees and do not have the technology staff or advisors to guide them through this process. Find a way to help these businesses innovate and your community will reap the rewards. 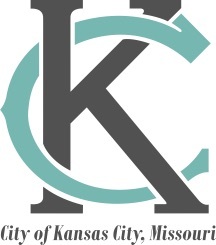 Today, the City of Kansas City, Missouri announced an exciting partnership with Strategic Networks Group (SNG) to provide local business owners with the tools they need to leverage online resources for business growth resources and guidance. The partnership will grant business owners with access to SNG’s Small Business Growth Program, which is designed to educate small business owners on how to use the Internet and how to best direct limited online resources for maximum effectiveness. As part of the program, small business owners will complete a self-assessment which will provide SNG with important data about the company’s internet usage and business goals. Using this information, SNG will provide the business owner with a customize roadmap to help guide the small business to better utilize the Internet to drive revenues and reduce costs. SNG has surveyed tens of thousands of businesses across the nation regarding their Internet use and accompanying financial benefits. Using this data, SNG is able to compare how a business in Kansas City is leveraging the benefits of broadband connection in comparison to their peers and competitors. For example, a participating manufacturer with 10 employees will receive a customized report that shows the top three Internet applications (in terms of revenue and cost benefits) that they should be undertaking – along with the average financial impact their peers are realizing. In a story about Maine’s lagging economy and Internet speeds – Bloomberg TV cited SNG’s research that a third of jobs are Internet created. It stands to reason that the two are interrelated. The Nebraska Broadband Initiative recently released the results of the study consulted by SNG among the State’s small businesses. The Lt. Governor’s office issued a press release and the complete report is available at on the Nebraska Broadband Initiative’s website at broadband.nebraska.gov/. Report released: What’s the ROI on broadband? Click to read on Blandin’s website. If you were asked to give $1 and, in return, you would receive $10, would you do it? Before you opened up your pocketbook, you’d probably gauge whether or not you trusted the possibility of return on your investment. Is the risk worth the reward? Much the same, broadband investments were akin to a game of chance. Rural communities were hopeful that their original investment would spur a healthy return. However, new research from the Strategic Networks Group (SNG) now gives communities a factual basis for planning. Yesterday at the Border to Border Broadband Conference, Michael Curri of SNG unveiled a report that applied their scenario-based approach to modeling the direct impacts of increased broadband utilization to two rural Minnesota counties, Lac qui Parle and Kanabec. 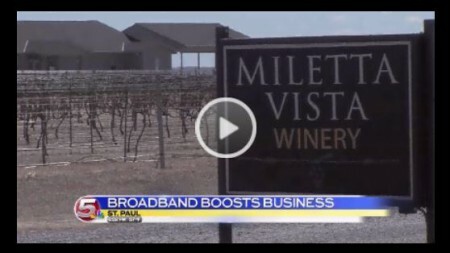 It’’s become an article of faith that a rural community needs high-speed access to the Internet if businesses are going to thrive. But just how much difference does access to and use of broadband make? There were two answers Wednesday at the Blandin Foundation’s Border to Border Broadband conference in St. Paul. One involved numbers and modeling and predictions. The other had more to do with bratwurst. In a multi-faceted survey released earlier this month by Broadband Illinois, Illinois households rated fiber-optic internet connections highest in terms of speed, reliability and value. However, households in rural and isolated areas of Illinois are almost four times as likely to have a dial-up connection. Conducted in 2012 and released this month, the “Broadband Illinois eSolutions Benchmarking Report” received responses from 2,129 Illinois households. Key findings of the household report focus on internet usage, benefits and barriers. Selected results are broken down by characteristics such as household income, connectivity type and rural versus non-rural regions. Other sections of the report focus on Illinois businesses and community anchor institutions. SPRINGFIELD, Illinois, April 15, 2013 – Regional differences in broadband usage prevail in Illinois commercial businesses and public organizations, and public libraries are filling the gap by providing Wi-Fi access and one-on-one digital literacy trainings, according to a new report released by Broadband Illinois. Available for download below, the “Broadband Illinois eSolutions Benchmarking Report 2013” provides qualitative and quantitative measurements of the socio-economic impact of high-speed internet access on communities and regions across Illinois. In addition, the Digital Economy Index (DEi) shows how uses of online tools vary between commercial businesses and public organizations in 10 regional eTeams. The report also contains a sector analysis with broadband data for six types of community anchor institutions, as well as farms. Illinois businesses view high-speed internet as a source of job creation, an important way to present themselves to the world and as a way to improve internal operations, according to a multi-faceted report released today by Broadband Illinois. Conducted in 2012, the study contains detailed information on the impact and utilization of high-speed internet on Illinois businesses, organizations and households in 10 multi-county regions called eTeams. A key objective of the initiative was to better understand the socio-economic impacts of broadband on communities and regions in Illinois through both qualitative and quantitative measures. In working across the globe and working with multiple carriers deploying new, more robust broadband networks, Strategic Networks Group consistently comes up against the notion that once the network is built, adoption will naturally follow. “Build it and they will come” is a school of thought that expresses the great hope that potential subscribers will naturally adopt, however this notion goes against what we have always known about technology adoption. Meanwhile, broadband is broadband for many consumers and businesses – who do not see the difference, nor what is possible with ultra-fast broadband (e.g. fiber / Fiber-to-the-Home). On the other hand, organizations like US Ignite are forming to promote “Next generation Applications,” specifically new applications in education, healthcare, clean energy, public safety, and workforce development, including advanced manufacturing. These require the ultra-fast broadband connectivity which the networks being rolled out today will provide. And before we get to “Next generation applications,” consider the bandwidth required to support online collaboration so critical to being competitive in a 21st century economy.